Show proof that you got what it takes to take down the biggest and baddest out there. 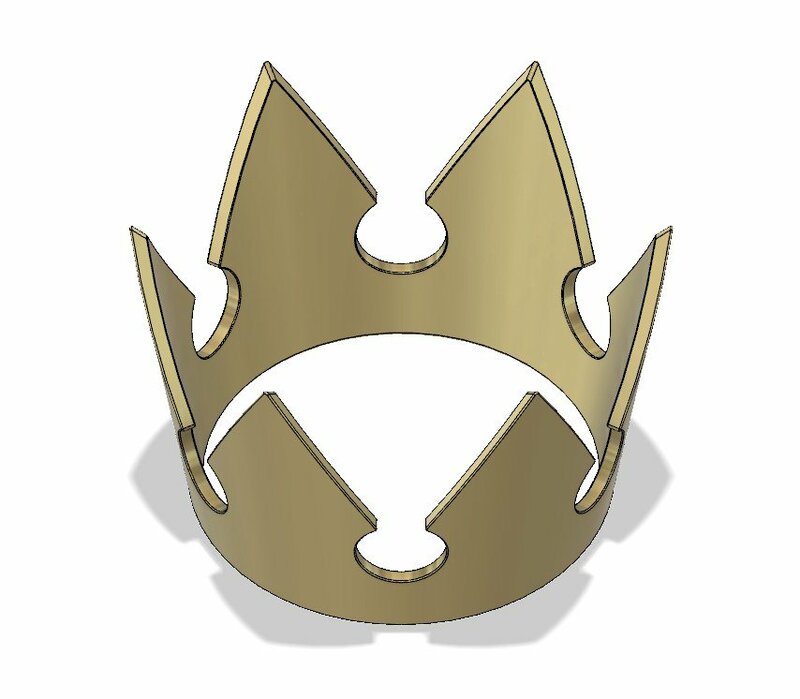 This crown is designed to rest on top of one’s head in the same manner that it sits at a slight angle on Sora’s head. Just print it up and give it a paint job in whatever color you like. Dimensions approximately: 113 mm x 101 mm x 74 mm. Scale according to your needs.